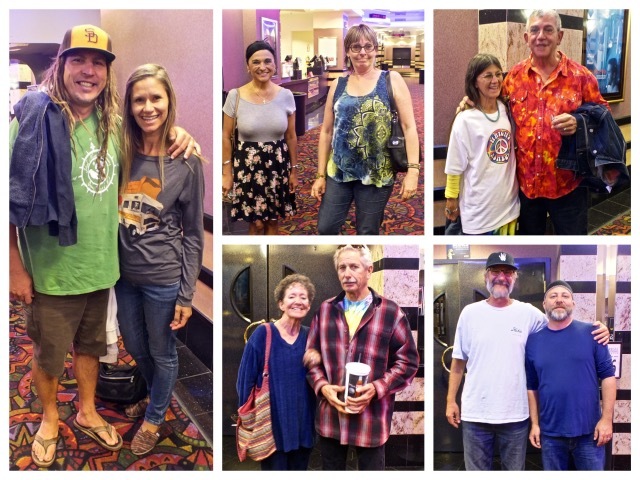 Grateful Dead fans throughout the country got a chance to enjoy some concert togetherness as Fathom Events and Rhino Entertainment held their annual “Meet-Up at the Movies” last night. 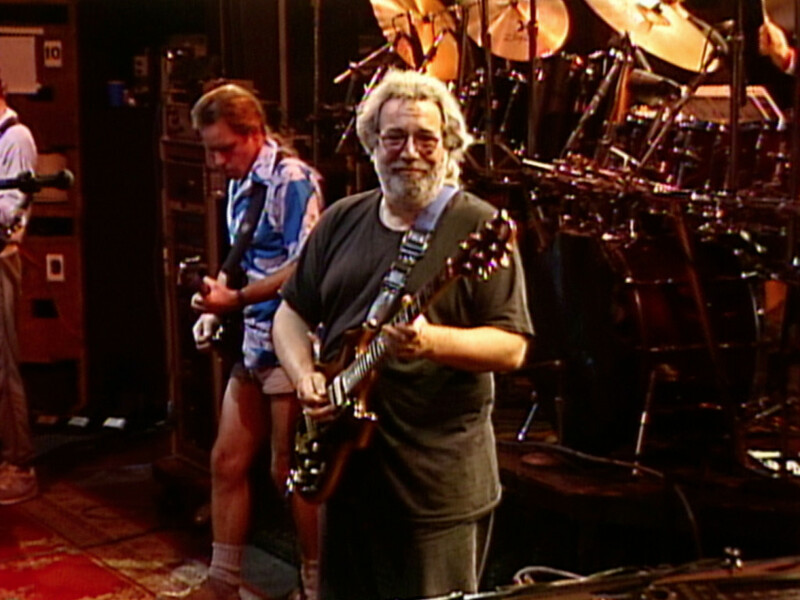 The concert was shown at 7:00pm local time nationwide so Deadheads of all ages could enjoy the concert together. The concert shown was one of the best, a July 19, 1989 live performance at Alpine Valley in Wisconsin. The lineup for that show featured Jerry Garcia, Bob Weir, Phil Lesh, Bill Kreutzmann, Mickey Hart and Brent Mydland. The show, from previously unreleased concert footage, started out with the popular Hell in a Bucket and Sugaree, went on to feature such songs as Mexicali Blues, West L.A. Fadeaway, Deal, Box of Rain, Wheel and more. An excellent version of Bob Dylan’s Desolation Row had the audience transfixed. As the concert went on, a stellar version of Terrapin Station morphed into the obligatory drum section and ultimately segued into one of the ’60s psychedelic anthems, The Other One. After a beautiful rendition of Morning Dew, the concert ended with one of the Dead’s earliest and biggest hits, Turn On Your Lovelight. 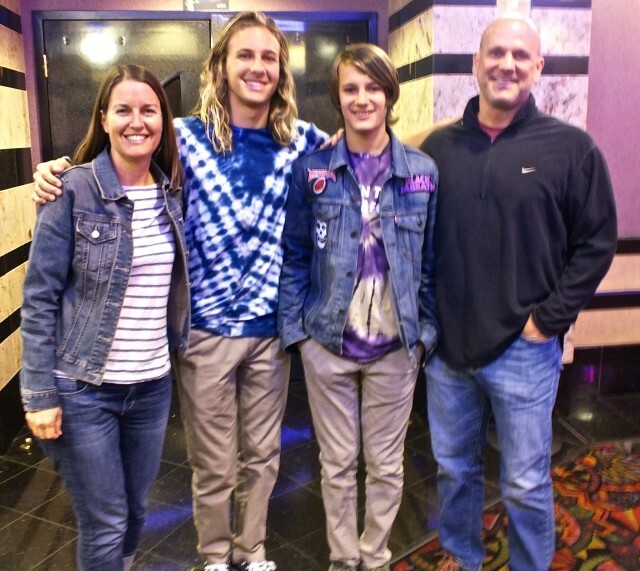 The Edwards Theater in Aliso Viejo had a nice, representative crowd to enjoy the show. 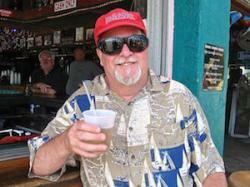 Young and old, some were dressed casually while others had tied-dyed clothes and Grateful Dead shirts. Everyone enjoyed talking at the Meet-up, an event that gave fans of the Grateful Dead a chance to reconnect with the music and with each other. Before and after, people told stories about their concert experiences and had a rousing good time. It was an excellent event overall, even more impressive when you consider the same scene was taking place at the same time in over 400 theaters nationwide. The event was a great opportunity also for those who had not seen a full-length concert before to see what all the buzz about a live Dead show was. Judging from the crowd, which contained plenty of fans who were not yet born when the Grateful Dead stopped playing, it was certainly a concert to remember. After the show was over, there was plenty of talk in the lobby about what songs might be included in next year’s “Meet-Up at the Movies”. The Grateful Dead are truly a group who will “Not Fade Away”. 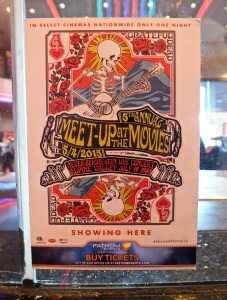 This entry was posted in Events, Miscellanious, Movies, Music and tagged Ed Simon, grateful dead, Meet-up at the Movies. Bookmark the permalink. They should have turned on the sprinkler systems in the theaters so you could REALLY relive the experience!